Today I caught up with my friend Sophie who I haven't seen in years! We went to university together and I always admired who she was as a person - she is so vibrant and full of energy and it's absolutely infectious. She's always the loudest person in the room and oozes confidence when speaking. Sophie and my high school best friend Emma have both inspired me to be more confident when I speak but one of the few places where I freeze up is in front of the camera. 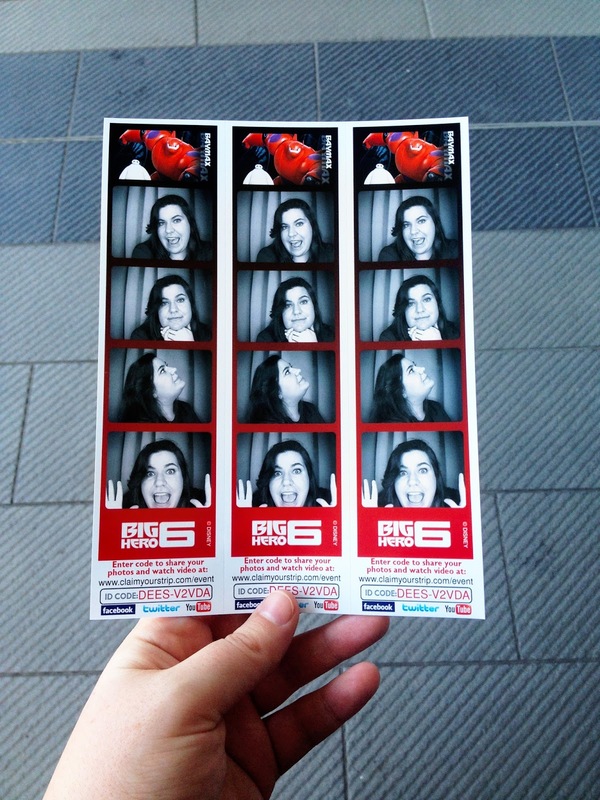 Bearing Meg's "Self Portraits" post in mind after hanging out with Sophie today, I decided to go into the photo booth at Event Cinemas. I'm a pretty shy and awkward person in front of the camera and tend to have very few facial expressions and those qualities become elevated whens someone is taking a picture of me. At an event in December I went into the photo booth with my friend and it was one of those ones where someone is taking the pictures with a DSLR, it's not automated. When I noticed there was someone taking the pictures I became Chandler in the episode of Friends where he can't smile properly for the engagement picture. It's like instant locked jaw, forced awkward smile and very stiff body language. I'm not sure how to remedy that but surely like anything with a bit of practise on my own I can develop a more natural persona in front of the camera. Like I wrote in a comment on Meg's post, there's something about having photos taken of yourself when you're alone. It's a much more accurate representation of the real you and not the you that others see. I really encourage you to take more photos - take photos of yourself when you first wake up, after your morning coffee (if unlike me you drink it), before you go out with friends, when you get home after a long day at work, when you're home alone or exploring the world. There doesn't have to be an event or special occasion for you to get the camera and self timer out. If you're still uncomfortable with that idea, start taking selfies with your iPhone with natural daylight and work from there. Sometimes DSLR quality photos can be confronting and make you feel more self conscious as you can see every pore or imperfection you think you have. Our biggest critics are ourselves in the current moment but I promise that when you're 70 you'll be happy you took those pictures and you'll look back and think "wow I look so young and beautiful". In the same way moments are captured for keepsakes, photos of yourself are vital too. They serve as a lovely insight into one's evolvement over time, should one ever lose themselves :) Love these photos Erin. Thanks Rachel :) I completely agree. Thank you for the mention! I love these, photo booth photos are always so special and it's a good way to get into it, there is no deleting or choosing, there just is!